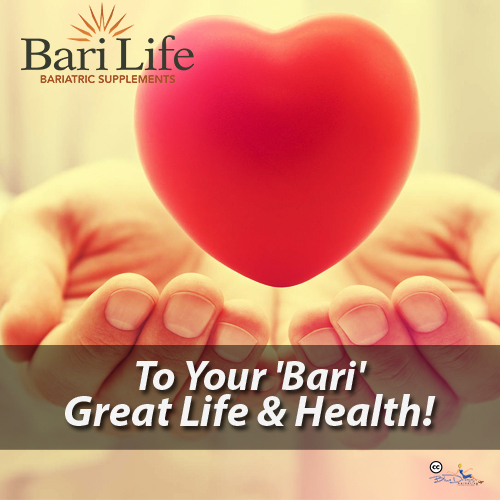 Bari Life offers a comprehensive line of bariatric supplements designed specifically to meet the needs of individuals who have undergone weight loss surgery. Certain vitamins, proteins and mineral supplements are critical to achieve your daily nutritional goals. We pride ourselves in outstanding quality, simplicity and affordability of our products. Their unique vitamin formulation in a powder format allows you to easily drink your vitamins. Some of the vitamins are packaged in small cellophane “convenience packs”. You can place the pack in your pocket or handbag and at the end of the day as long as the pack is empty, you have all of the vitamins and mineral supplements you need! It is important to note that no supplement can completely prevent hair loss and loose skin. The Bari Life Hair Skin and Nail pack is therefore designed to be used with the Bari Life vitamin line to provide optimal amounts of key ingredients tominimize hair loss, poor nail health and loose skin. The Bari Life Multi Probiotic contains eight different bacteria per capsule that can treat intestinal problems including antibiotic induced diarrhea. There is a delicious range of protein bars that form reliable high-quality sources of proteins. Totally rejuvenating. The advantage of protein drinks is that you can mix it with any fluid. Water is a better option to keep you hydrated. All the same, we also recommend adding to your water a Bari Life protein drink so you’ll get your protein too. Delicious range of hot protein drinks from cappuccino to hot Irish cream hot chocolate. Add these to your morning coffee for a healthy start to your day! As you can see we have all that you need in simple complete packs of supplements. These supplements are clinically proven to solve any kind of deficiencies that you may be having. Taken in the required amounts daily, your health will improve and you will be feeling great!